Idaho Secretary of State Lawerence Denney says an initiative to legalize historical horse racing is eligible for the November ballot. Backers say the measure would make it easier for live horse racing at places like Les Bois Park to financially survive in Idaho. 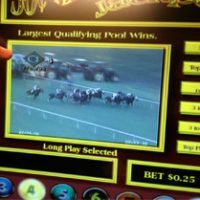 Historical horse racing involves bettors using terminals to place bets on randomly selected past horse races with no identifiable information. The Idaho Legislature approved the machines in 2013, only to ban them two years later, citing too many similarities too outlawed slot machines. Governor Butch Otter vetoed the ban, but the Idaho Supreme Court ruled that Otter waited too long for the veto, throwing out the governor’s attempt to save the practice.